Campagnolo Record Bicycle Chain - 10 Speed. Lightened links and hollow pins. 10 speed only 5.9mmm width. Ni-PTFE finish for smoothness, quieter running and longer wear resistance. 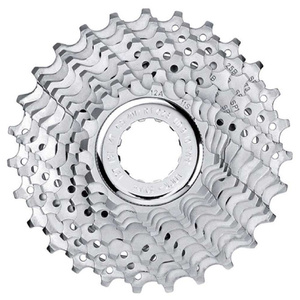 The RECORD is the cheapest Campa (10 speed) chain, beacause is much more durable, and also its function is sensibly better. 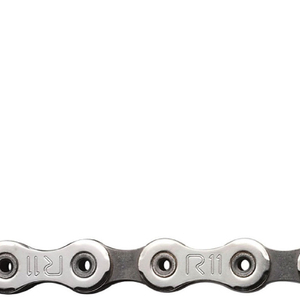 Best chain for Campy 10 speed drivetrains. 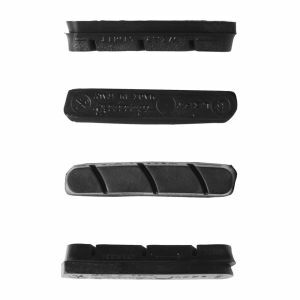 I've been using these on my Reord equipped bike for about 7 years, and have never had a chain problem. I do change them regularly at 1200 - 1500 miles. Campy quality is unsurpassed. Excellent product. I did expect any less from Campy. Light, tough and reliable, Campag the only way to go! If you are riding Campag this is the chain to use, not the lightest ,it's just BETTER. Cannot review the product, because it is in the future stock for the day when I wear out my current drivetrain. Since I still use Campagnolo 10-speed, I have to think ahead. All Campagnolo chains that I have purchased, mostly Chorus and Record, have served me well in over twenty years of cycling. The purchase was smooth, arrived in US in a timely matter. I have been using Campagnolo Record 10 chains for about 10 years. During that period, I've tried third-party chains, but found the Campagnolo Record 10 chain works best. 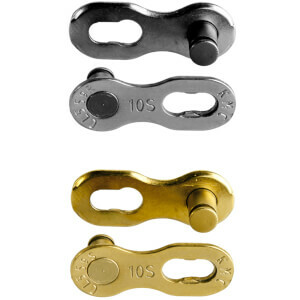 excellent product, durability....able to cyclle 8000km with this Chain. expensive but quality are a price.